Kalarchikai is very important herb with wonderful medicinal uses and health benefits. It is very famous in Tamil Nadu for treating pcos (poly cystic ovarian syndrome), irregular periods, preventing cancer of many types including thyroid cancer and also for aiding weight loss especially caused due to pcos as it helps regulate estrogen levels. Kalarchikai plant is a large bush that grows upto 15 meters in height. This plant is found commonly throughout India and Srilanka. The plant is filled with thorns, this plant is found all over the edge of our farm and because it grows so thick and is filled with thorns, it acts as a natural protective fence for our farm. The flowers are yellow in color and the fruits (pods) are oval in shape and they are green in color when unripe and the they turn brown and split open revealing the seeds. What we see in the picture above is the unopened fruits and they will turn brown and split open revealing the seeds. The seeds are grey in color and usually fall off from the pods when they split. The seed coat is thick and when opened with a hammer reveals a white kernel. Though all parts of the plant have medicinal uses, the white kernel is the most used part. When we were younger, we used to rub two seeds together till it gets hot and place it on others hands as a prank and that is why it is also called Sootu Kottai in Tamil. 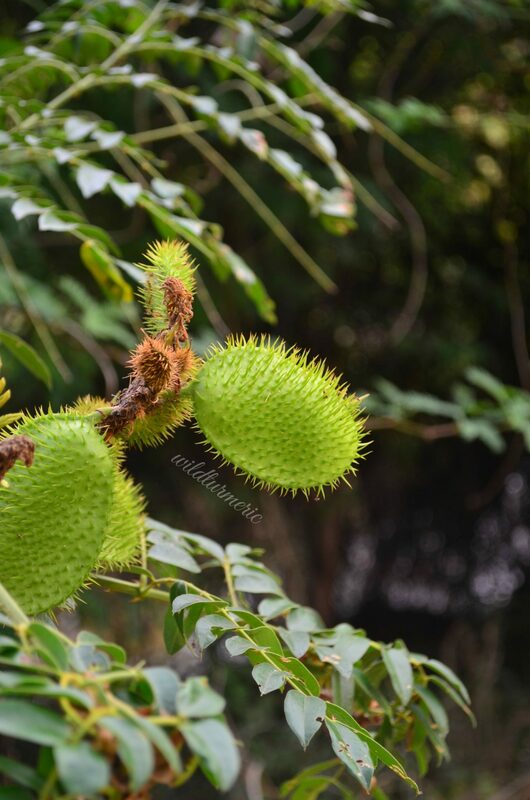 The botanical name of kalarchikai is Caesalpinia Bonducella. It is called Gajga in Hindi, fever nut in English, Angarhavallari in Sanskrit, Gajjiga in Kannada, Kazhanchi in Malayalam, Mulluthige in Telugu, Katukaranja in Marathi and Gila in Oriya. The seeds contain some important chemical constituents like triterpenoids, flavonoids, glycosides, saponins, amino acids, tannins and alkaloids. Some of the amino acids found in the seed kernel are aspartic acid, lysine, glycine, leucine, histidine, isoleucine, serine, butyric acid, tyrosine, citrulline, etc. The important glycoside found in kalarchikai is bonducin. The fatty oil found in the kernel consists of stearic, palmitic, oleic, linolenic and linoceric acids. Traditionally kalarchikai powder mixed along with pepper is consumed for treating indigestion and abdominal pain. The seed paste is used for treating many skin ailments and is especially used for treating problems like hydrocele. In certain branch of medicines, it is used for treating leprosy too. The seed powder is a wonderful anthelmintic so it used traditionally to expel worms. 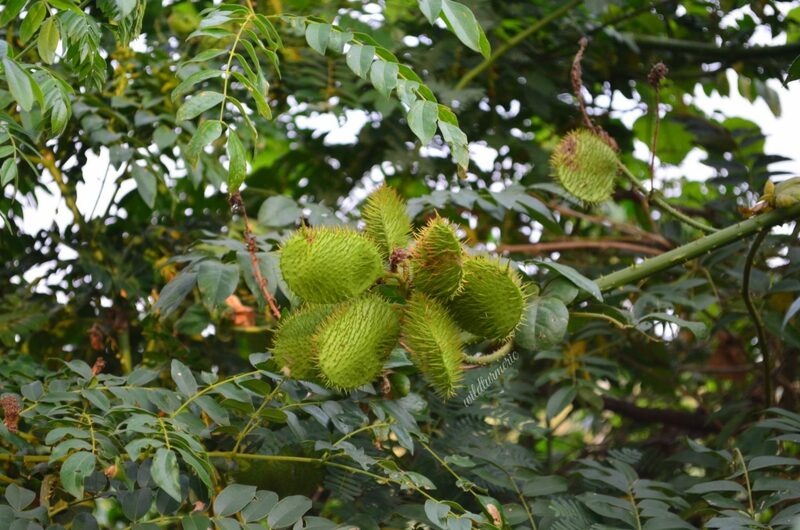 Since the seeds have anti pyretic properties, they are used for treating fever especially malaria. The seeds are also used for treating gum problems including gum boils and inflammation. It is also taken for improving liver health and for treating liver disorders. Kalarchikai has been traditionally used as a uterine stimulant and is extensively used for treating many problems that women regularly face including painful periods, poly cystic ovarian syndrome and also to cleanse the uterus. In our place, it is mainly used for treating pcos, cough and cold, indigestion and for treating skin problems. Along with the medicinal uses given below, kalarchikai has immunomodulatry, diuretic, anti fungal, anti filarial, adaptogenic and anxiolytic (reduces anxiety) properties. 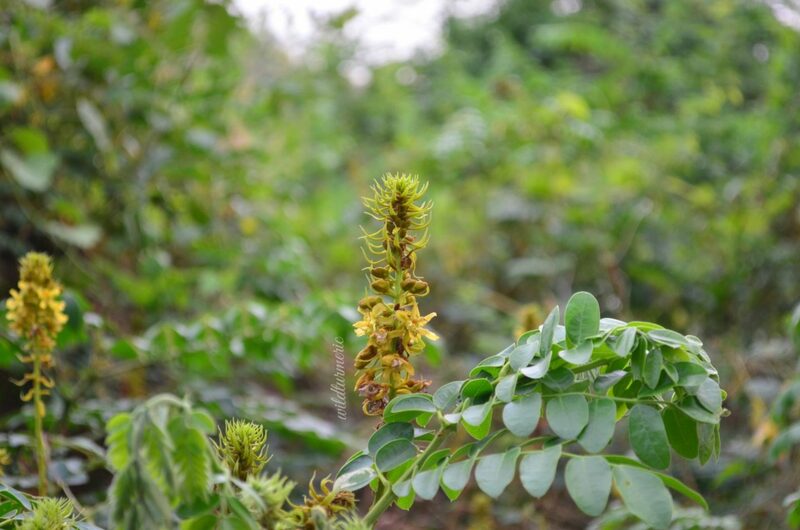 Kalarchikai has anti asthma properties, it has been used for it from ancient times. Kalarchikai inhibits parameters that leads to asthma. Kalarchikai powder mixed with honey helps reduce asthma and this has been proven through research too. Though in the study ethanol extract was used, we can use the powder too. Kalarchikai has wonderful anti diabetic properties, traditionally many tribal people use the seed powder for reducing high blood sugar levels and this use has been proven through research. Kalarchikai blocks glucose absorption thus reducing high blood sugar spikes. Kalarchikai has been used for reducing fever and pain by many tribal people for a long time and this traditional use has been backed by research now. Consuming kalarchikai when we are having fever reduces both fever and body pain that is usually common during fevers. It also helps reduce inflammation effectively too. Here in our place, kalarchikai is used extensively for treating malaria. Kalarchikai is widely used for treating many types of skin diseases including boils and wounds. This is due to it’s wonderful anti bacterial properties. Kalarchikai decoction made by mixing kalarchikai powder in water can be used as a gargle for treating gum diseases including gum inflammation and boils. Kalarchikai is very famous in Tamil Nadu for treating pcos (poly cystic ovarian syndrome) and though it has many other uses, it is mainly used for treating pcos and its many side effects including irregular periods and also for aiding weight loss. This because it reduces estrogen levels which is usually elevated in people who are suffering from poly cystic ovarian syndrome. It does it by inhibiting estrogen secretion and you can read the study that proves it here. The leaves also have medicinal uses and one of it’s uses is expelling worms. Traditionally in village sides, we consume neem extract for expelling worms but many consume other herbs like kalarchikai powder extract also for expelling worms. You can read the study that supports this claim here. The leaf extract have powerful anti diarrhoeal properties and has been traditionally used for it by many tribes till today. This is due to it’s wonderful anti bacterial properties. 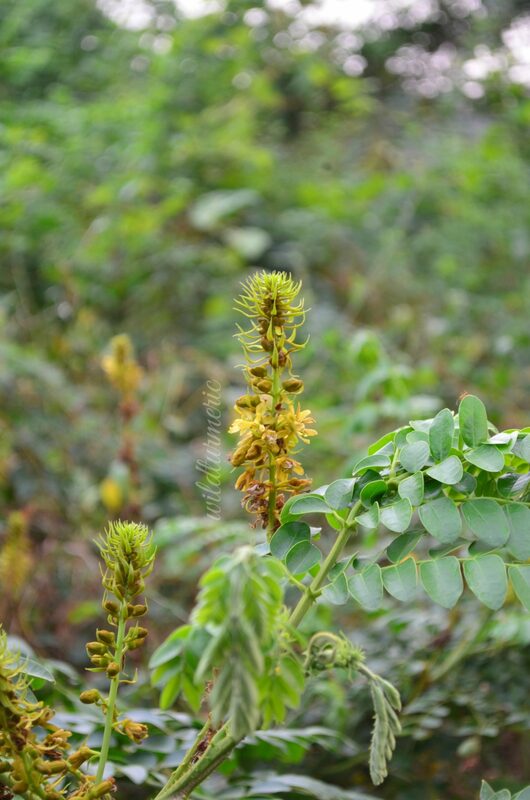 The water extract of the leaves are given for treating diarrhoea and it is very very effective. Here is the link that supports this claim, though in the study methanol and ethyl acetate is used, water extract is also very effective. Another amazing uses of kalarchikai plant leaves is the anti tumour properties. In a study done on rats with carcinoma, there was significant reduction in tumour size, tumour cell volume and tumour cell count when given Kalarchikai extract. And the best part is there was no toxicity till the dosage of 300 mg per kg. Kalachikai is best avoided completely during pregnancy and also while breast feeding. Though it is a safe herb, it is best to take it in the suggested dosage. Usually the common suggested dosage for the seed powder is 1/4 tsp but it is best to consult an Ayurvedic physician for the correct dosage especially if you are planning to take it for long durations of time. We can get kalarchikai during certain seasons in nattu marundhu kadai (country drug store that sell herbs). We can order kalarchikai powder easily online too. For making kalarchikai powder, break the kalarchikai seeds using a hammer and you will find a white kernel inside. Now collect the kernels and sun dry till crisp and then powder along with black pepper in 1: 3 ratio and store. To use, mix 1/4 tsp kalarchikai powder with honey and make small balls. Take one ball each per day. Make the powder as said before but powder without the peppercorns and store. To use, take little bit of the powder, mix with water and apply on the affected area. The inflammation will reduce very very quickly. Due it’s antiestrogenic properties and anti spasmodic properties, kalarchikai is wonderful for reducing periods pain and also in regularising irregular periods. For both these problems make the powder with pepper like said before. Mix 1/4 tsp of the powder with water and consume.